POSSUMS do not generally hibernate or perhaps they just don’t need to. Opossums will do just about anything to go by the extreme cold weather and their adaptability to different habitats assists them to survive without hibernation. During winter, opossums will probably become diurnal; they’ll go active during daytime when it is warmer. At night opossums will limit their traveling and feeding behavior. Do Possums Hibernate in Winter? Hibernating animals usually become inactive during winter partly because the food is scarce and partly due to the fact that their core body temperature and foraging activity turns out to be energetically too costly. Opossum suffers from neither of these. They are all too alert and active to become dormant no matter what time of the year you are talking about. Opossums are strictly nocturnal but they do emerge during daylight hours in winter. However, since they have pretty poor eyesight, opossums just don’t find food at day. As the winter progresses, the northern population one that is found in northern regions suffer frostbite. 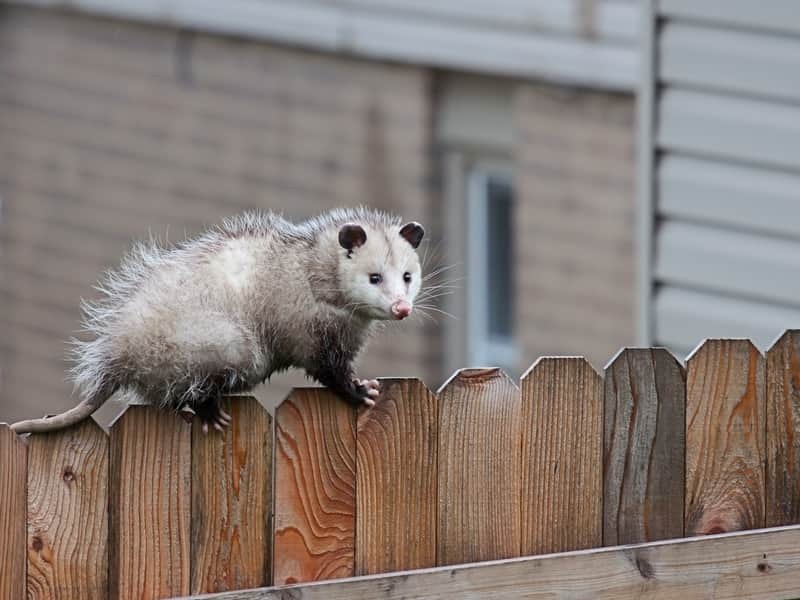 The overall opossum’s body is all covered with small hairs so they don’t suffer frostbite except for the tail which is highly vulnerable to frostbite. There are no hairs on opossum’s tail. 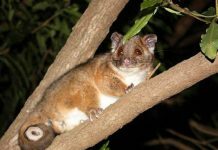 Possums can neither store food nor any extra body fat to provide reserves so they ought to be active all year-round no matter how cold the weather is. During winter, possums are known to travel as much as 2 miles from home to search food. During summer however opossums will only travel a few meters. They will not share their dens with other opossums. Opossums will make their dens warm by putting dry grass or leaves inside it. Whilst inhabiting urban areas opossums will also seek shelter in garages to escape extreme cold. Although long winter nights allow possums to be able to find food successfully but then again, the extreme cold prevents them from moving around for far too long. Possums will probably spend winter hours in dens, wood piles, garages, abandoned burrows, spaces in buildings, and rock crevices.